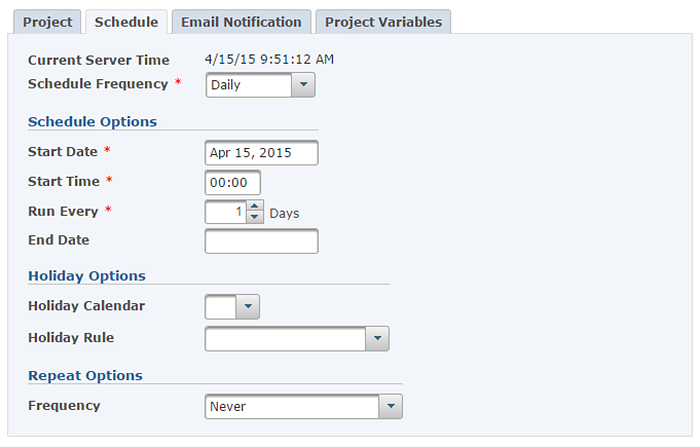 GoAnywhere MFT includes a built-in scheduler for executing Projects (workflows) at future dates and times. Projects can be scheduled to run "one time" or can be scheduled on a variety of recurring frequencies including every minute, every hour, every day, certain days of the week, and every month. To prevent Projects from running on certain dates, custom calendars can be defined with specific holidays or dates that are important to your business. If a scheduled Project falls on that date, you can configure it to skip that execution, run the day before, or run the Project the day after. When scheduling a Project, you can indicate the user and password to run the Project under, the start date, frequency and any variables to override within the Project. 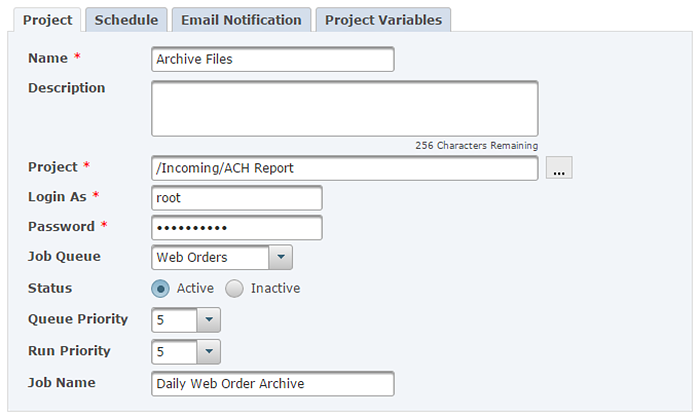 You can also indicate the email addresses to be notified when a Project fails or completes normally.